As a parent, one of your many jobs is to encourage and foster the potential your child displays as he or she grows. But how can you decide if the potential you see is really an exceptional natural ability? One option is to have your child tested - formally or informally - to document the gifts and talents you suspect, and to use that information to make it more possible for those gifts to develop. Parents sometimes think they should get their child tested without any clear reason for doing it. What are the reasons for testing a child? Years ago, a child who achieved a score of 130 or higher on an IQ test was categorized as gifted; today, giftedness is not determined by this single criterion. Children undergo a battery of tests that are interpreted along with written observations of the child by parents and teachers. However, individual tests are not infallible predictors of giftedness, intelligence, or ability. That is why identification for giftedness and/or a particular gifted program should be multi-faceted. Children as young as 3 can be given IQ and ability tests, but experts believe that The best time to test gifted children is between the ages of four and eight. Testing before age four is unstable — that is, if a child is retested, his scores can fluctuate significantly until this age. Testing after age 8 can result in inaccurate scores. Inaccuracies can be caused by several factors including test ceilings, perfectionism, and underachievement. Though you may want to know if your preschooler is gifted, most children don't need to be tested for giftedness before entering elementary school. However, consultations with a mental health professional may be appropriate if your preschooler appears to be unusually bored in school or shows any signs of emotional or social problems. Discovering giftedness in a child doesn't always require a complicated process. By matching everyday observations of a child with lists of the traits of gifted children, parents and teachers can become aware of high potential. Parents can offer excellent insights into their child's capabilities, but may be reluctant to appear "pushy" when relaying this information to teachers/schools. Interestingly, it has been documented that parents are often accurate in recognizing giftedness in their children. It should be noted, however, that parental judgment should not be the only factor used to determine giftedness. 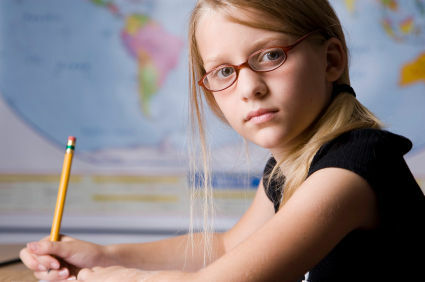 • Tests that are designed to identify gifted children are beneficial in several ways. The results of these tests can pinpoint the specific academic strengths or weaknesses of a particular child. IQ test scores, administered either individually or in groups, can be used to positively identify forms of intellectual giftedness, other tests offer insight into other areas of giftedness such as artistic ability, creativity or leadership. • Tests should be interpreted by someone trained in understanding the complexities of giftedness since scores may mask the strengths and weaknesses of children with both gifts and learning disabilities. It is important for IQ tests to be administered by licensed psychologists or psychometricians, preferably with experience in working with gifted children. • After a child has been officially identified as being gifted, educators will be able to offer support such as enrichment activities, modified curriculum, or placement in a gifted and talented program. While giftedness in areas such as athletics or the arts cannot be measured by standardized tests, children who excel in these areas can often enroll in specialized programs that are tailored to their profound abilities. You might be surprised to learn that a child can be both gifted and learning disabled. In most cases, the disability is recognized while giftedness goes undetected. Check this article about gifted underachievers.